What do charitable donors want? The classic answer is: Go ask each one individually. However, research provides some insight into donor motivation that can help your not-for-profit grow its financial support. The biennial U.S. Trust® Study of High Net Worth Philanthropy, conducted in partnership with the Indiana University Lilly Family School of Philanthropy, regularly finds that wealthy donors are primarily motivated by philanthropy. The tax benefits of giving were cited by only 18% of respondents in the 2016 survey. On its own, your organization has little control over tax rates or deductions. But by teaming up with other nonprofits, you can exercise influence over tax policy. For example, groups such as the Charitable Giving Coalition have been credited with helping to defeat congressional challenges to the charitable deduction. Some nonprofits also partner up to influence state legislation on charitable giving incentive caps. Just keep in mind that, to preserve your nonprofit’s tax-exempt status, political lobbying should be kept to a minimum. Other research has found that donors are just as motivated by matching gifts as they are by tax benefits. A joint Australian and American study gave supporters a choice between a tax rebate and a matching donation to charity. Donors were evenly split between the two — but those opting for the match gave more generously than those who took the rebate. If your nonprofit hasn’t already tried offering matching gifts, it’s worth testing. You’ll need to identify donors willing to use their large gift to incentivize others — reliable supporters such as board members or trustees. Consider using their gifts during short-lived fundraisers, where a “ticking clock” lends the offer greater urgency. 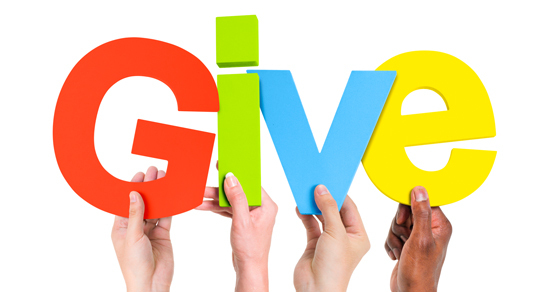 Other strategies can enable donors to stretch their giving dollars. For example, encourage your supporters to give appreciated stock or real estate. As long as the donors meet applicable rules, they can avoid the capital gains tax liability they’d incur if they sold the assets. Donors can be motivated by many social, emotional and financial factors. So it’s important not to assume you know how your target audience will respond to certain types of fundraising appeals. Perform some basic research, asking major donors and their advisors about their philanthropic priorities.